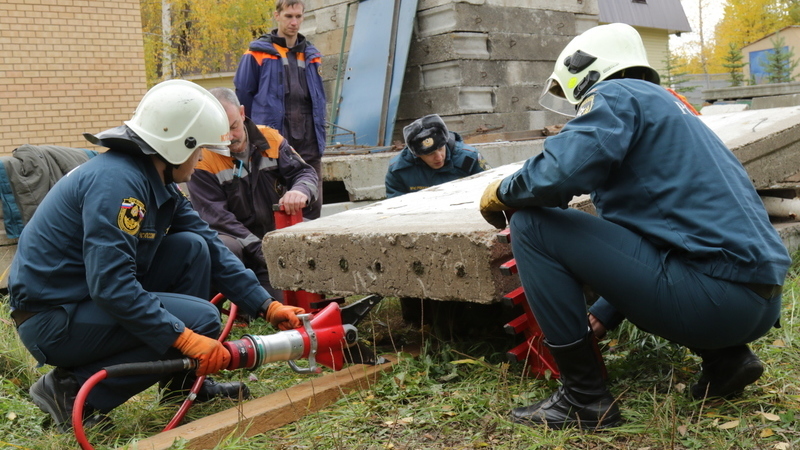 Today, on the basis of the Kazan search and rescue squad gathered firefighters, students of the Training Center of the Federal Fire Service in the Republic of Tatarstan. Experienced rescuers have prepared a practical lesson for fellow firefighters who are just entering their professional path. In the base of the detachment, rescuers built a real training ground on which all of them could simulate various emergency situations.